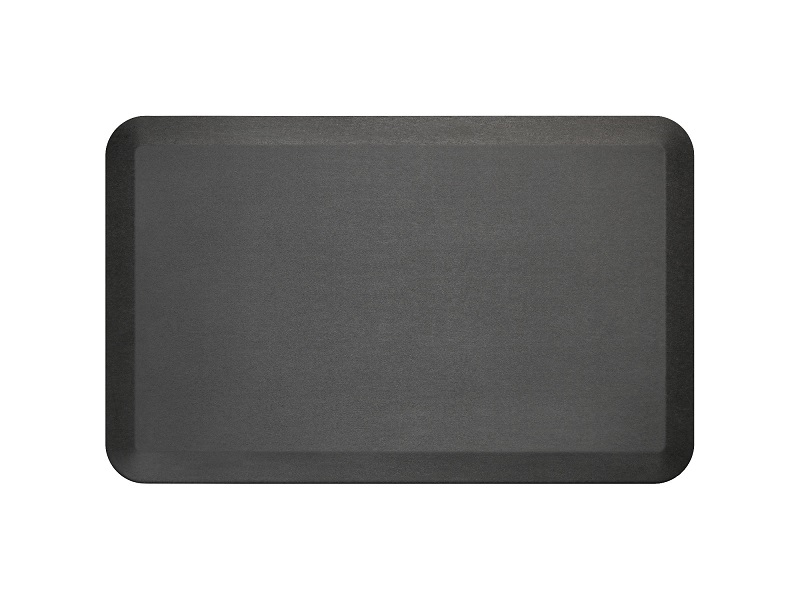 The surface of the NewLife standing desk mat is a subtly brushed texture pattern that is universal in appeal. This commercial mat comes in black, a traditional, rich color. Proudly made in the USA and an ergonomic-study winner, the eco-friendly NewLife® Eco-Pro™ Anti-Fatigue Floor Mat is the ultimate comfort solution designed to prevent leg, foot and lower back discomfort at work. NewLife Eco-Pro commercial mats have been proven to reduce spinal compression increase flexibility which means increased productivity and less aches, strains and work-related injuries. Featuring ¾" thick polyurethane foam with bounce-back memory that actually restores energy while you stand and walk, this professional-grade comfort mat will never harden, bottom out or wear down like cheap vinyl and rubber mats.